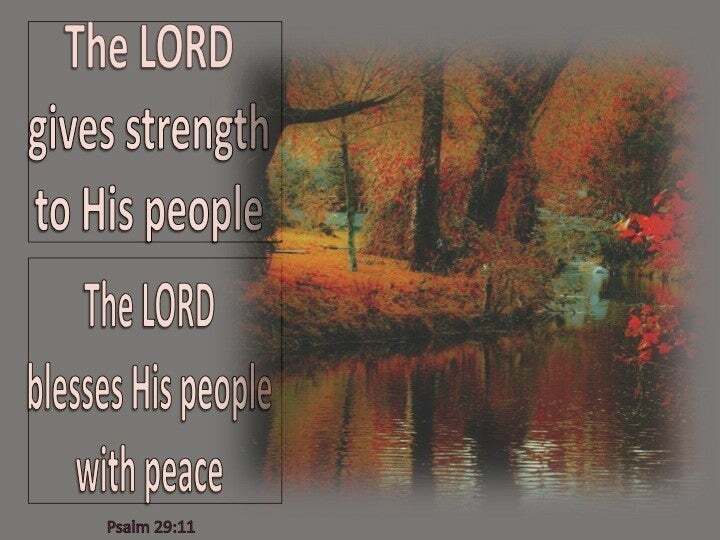 ﻿ Psalm 29:11 The LORD will give strength to His people; The LORD will bless His people with peace. The LORD will give strength to his people; the LORD will bless his people with peace. A Davidic Psalm for the dedication of the Temple. LORD will give strength to his people. 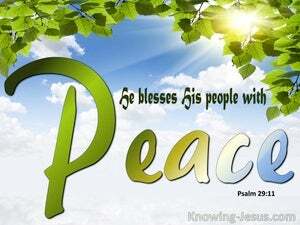 LORD will bless his people with peace. Jehovah will give strength unto his people; Jehovah will bless his people with peace. The LORD will give strength unto his people; the LORD will bless his people in peace. Jehovah will give strength to his people; he will bless his people with peace. May Yahweh give strength to his people. May Yahweh bless his people with peace. Jehovah will give strength to His people; Jehovah will bless His people with peace. The LORD shall give strength unto his people; the LORD shall give his people the blessing of peace. The Lord gives his people strength; the Lord grants his people security. The LORD will give strength to his people. 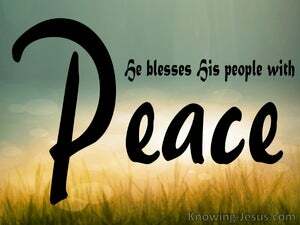 The LORD will bless his people with peace. Yahweh, will give, strength to his people, - Yahweh, will bless his people with prosperity. 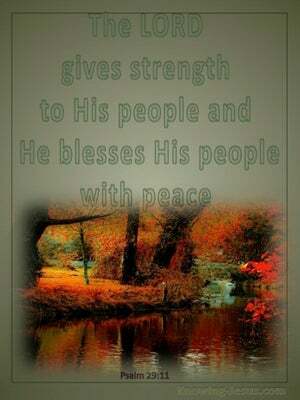 Jehovah strength to his people giveth, Jehovah blesseth His people with peace! 10 The LORD sat as King at the flood; Yes, the LORD sits as King forever. 11 The LORD will give strength to His people; The LORD will bless His people with peace. On the day I called, You answered me; You made me bold with strength in my soul. "These things I have spoken to you, so that in Me you may have peace In the world you have tribulation, but take courage; I have overcome the world." Now may the Lord of peace Himself continually grant you peace in every circumstance The Lord be with you all!